When it comes to Chinese breakfast choices–there’s the all-star team: your dumplings, your buns, your you tiao. Then there’s the very very important, not at all lesser, but perhaps less well-known second string–the warm soy milk, the less commonly found fried dough variants, etc. Ji Dan Bing is one such breakfast item. 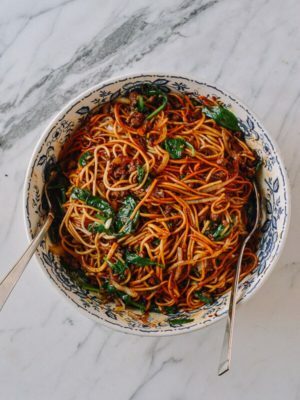 It’s a bit more obscure, especially stateside, but in China, it’s a well-loved breakfast choice enjoyed throughout the country. 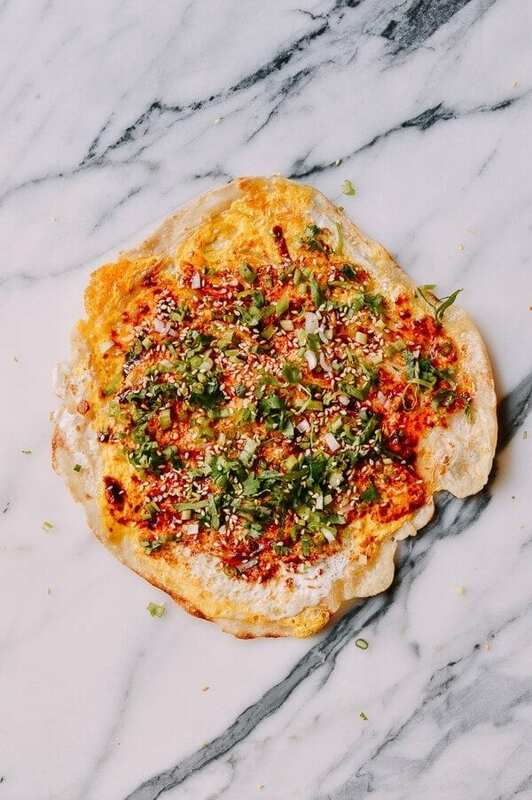 In our Shanghai Breakfast post earlier this summer, we shared plenty of tasty Chinese breakfast favorites, but I’m especially excited to share this Ji Dan Bing with you. 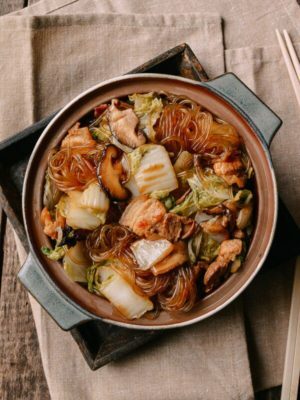 For many people in China, street corners and little alleyways hold the key to a delicious and filling breakfast–a carton of dumplings here, a couple of soy sauce tea eggs there, or perhaps a hot and crisp Ji Dan Bing made fresh on the griddle. Then tasty flavor agents like herbs, sweet bean sauce, chili bean sauce, and chili oil are slathered over the top, and the whole thing is finished off with a little lettuce that provides a nice texture and freshness to contrast the dough and the spices and because, hey–gotta be healthy, right? 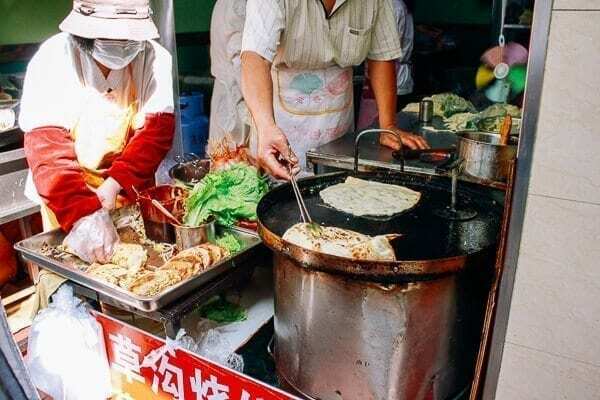 Check out our video to see an authentic Ji Dan Bing being made on the streets of Shanghai during Chinese breakfast rush hour. 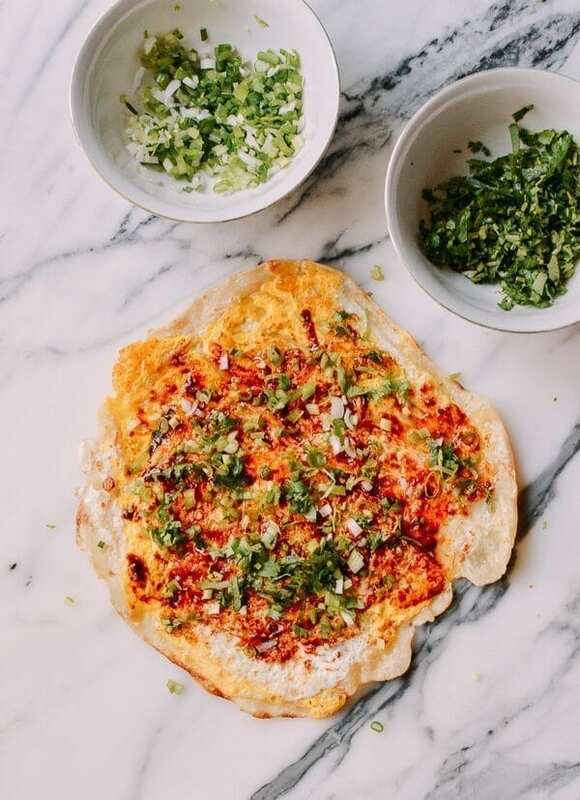 In Beijing, Ji Dan Bing is slightly different than what we saw in Shanghai, but the basic components of dough, an egg, lettuce, bean sauce, scallions, and a few other choices of condiment are the same. In Beijing, the Ji Dan Bing is smaller, and the raw egg is cracked into the air pockets that form as the dough puffs up. 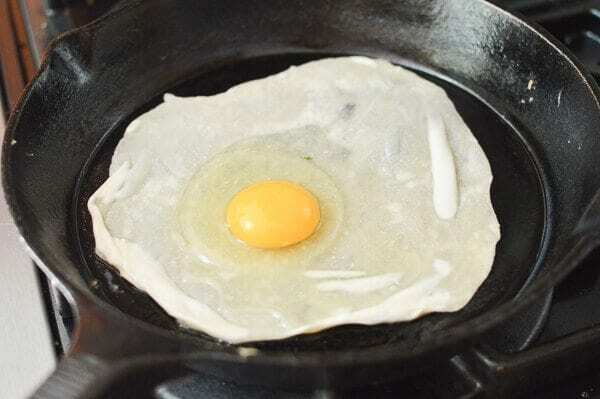 I have heard the name, ji dan guan bing 鸡蛋灌饼 used, where guan means “to pour” or “to infuse,” because the egg is poured inside the air pockets. In Shanghai, Ji Dan Bing is a bit simpler–the egg is lightly beaten right on top of the dough. 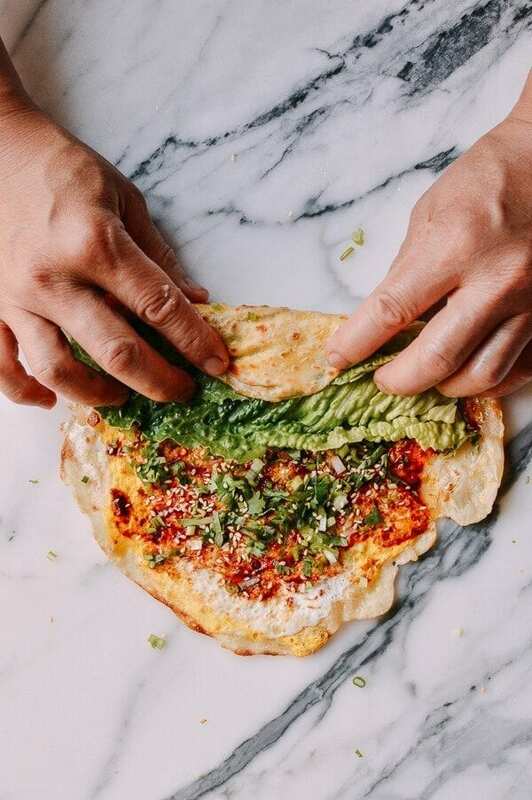 This method is not only easier, it keeps one side of the dough a little bit chewy (rather than crispy on both sides like the Beijing version). 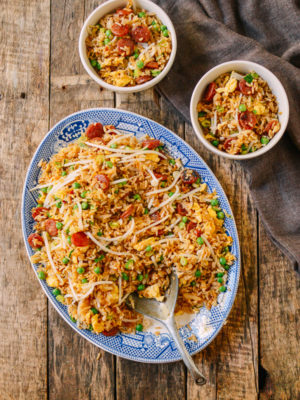 I definitely prefer the simplicity and the chewy consistency, so we’ve gone with the Shanghai version in this ji dan bing recipe. 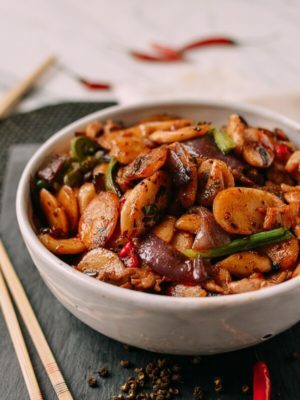 If you have the opportunity to travel to China, you will undoubtedly see variations of this Ji Dan Bing served up for a Chinese street food breakfast. Now, a word about Jian Bing which is often confused with Ji Dan Bing. Jian Bing is far more popular, and, from what I’ve seen, does not vary much region to region. 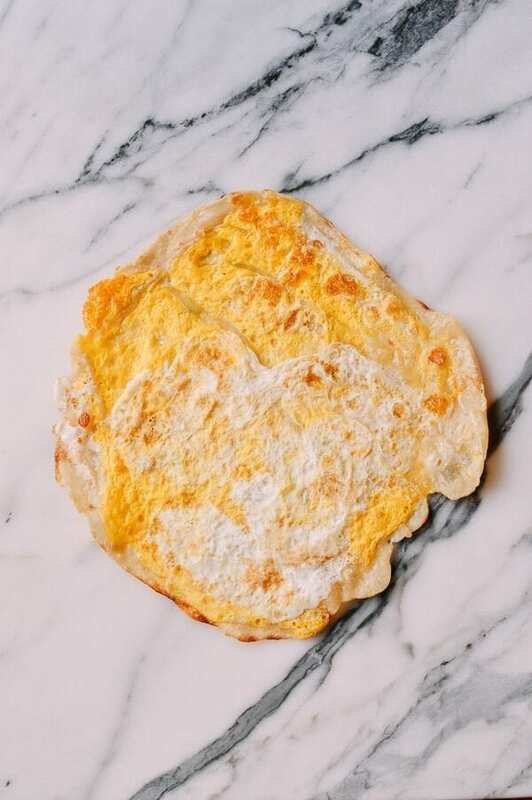 Jian Bing is more of a crepe, and is made with a thick batter that can vary by different combinations of grains and starches. 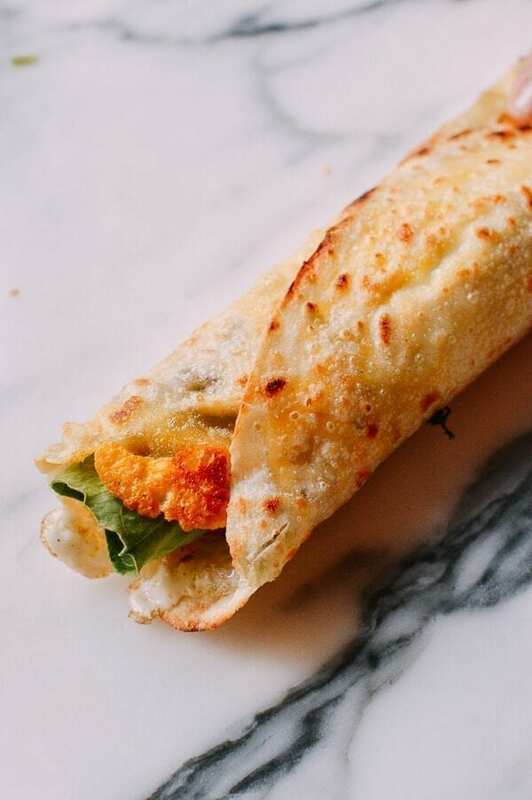 A deep-fried piece of dough that looks like fried egg roll skin or a length of you tiao is placed inside to provide an extra crunchy texture. Although Jian Bing is usually served for a Chinese breakfast, unlike Ji Dan Bing, you can find it everywhere during all hours of the day. 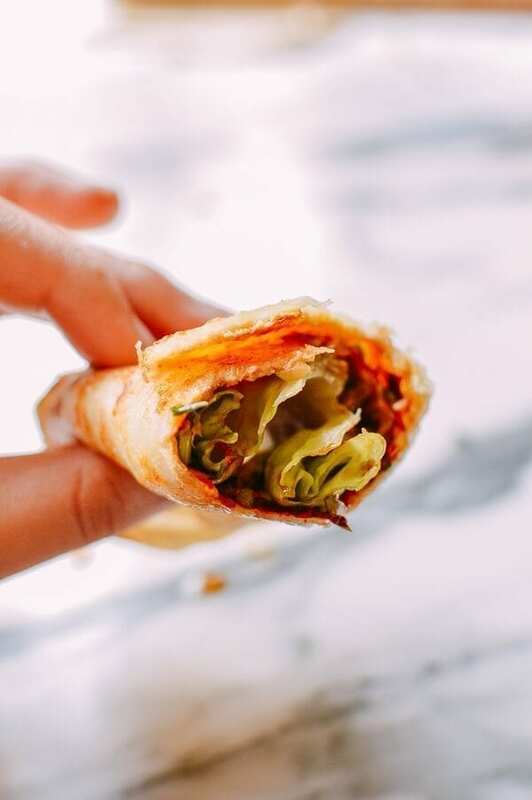 To give you an idea of its popularity, Jian Bing is available in many supermarkets and is made to order with a selection of grain batters to choose from. 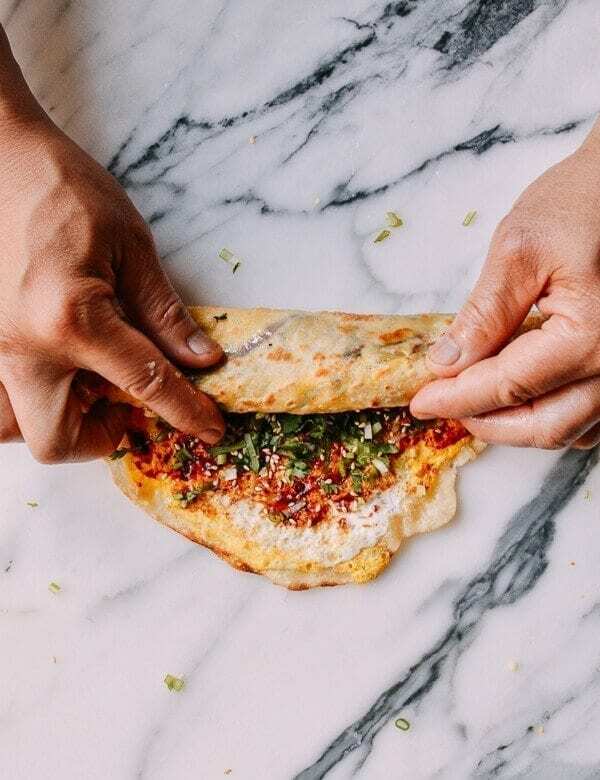 Kaitlin posted a Jian Bing Approximation recipe way back in the blog’s day, but stay tuned for an authentic version you can make at home! For now, let’s give Ji Dan Bing the time in the spotlight it deserves! 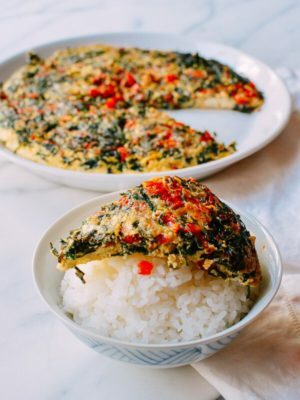 We tried making this savory breakfast treat at home and found it was authentic and surprisingly easy to make. 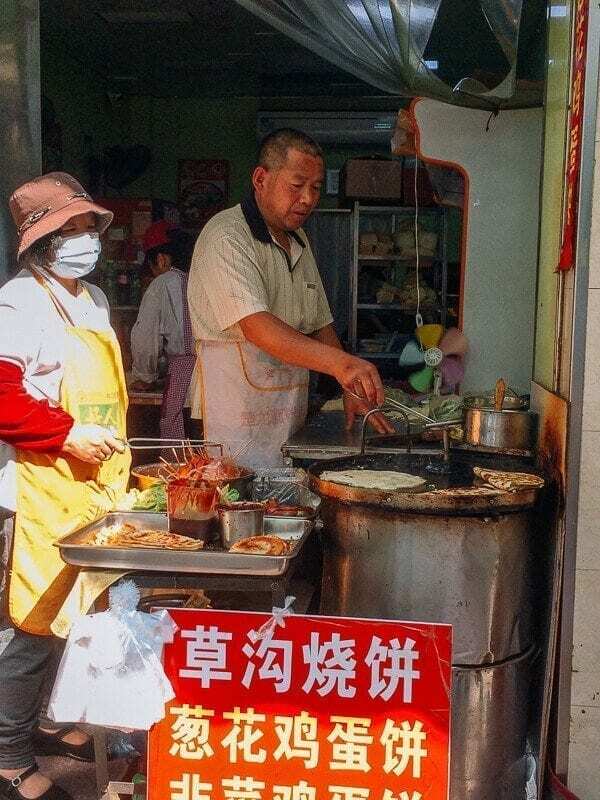 If you watch our video while cooking and eating this Chinese breakfast favorite, you may just get a taste for the early morning atmosphere of the busy breakfast rush and crowded Shanghai street corners. 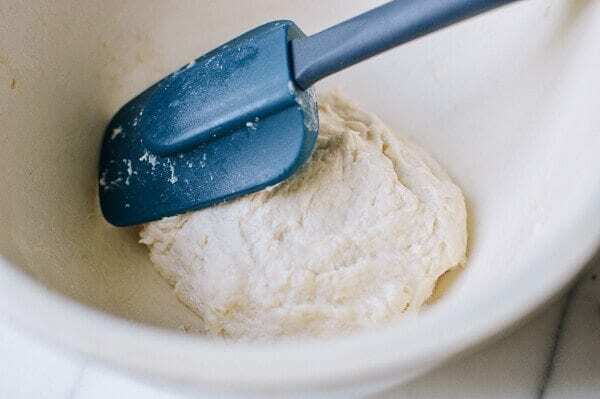 Mix together the flour, salt, and ½ cup of warm water with a rubber spatula until a sticky dough forms–about 2-3 minutes. The dough should be sticky, but should also come together in a ball. Coat the dough with 1 teaspoon of vegetable oil and cover with plastic wrap so it is completely sealed. Allow to rest for 1 hour. After the dough has rested, ready the other ingredients–this will be the filling of the Ji Dan Bing. Next, divide the dough into four equal portions, drizzling additional vegetable oil on the dough and your hands to prevent it from sticking. The dough will be less sticky after resting, but it should still be quite moist. Next, lightly coat your rolling surface and rolling pin with oil, but if you feel things sticking. Most street vendors use a stainless steel surface like you see in the video, but a marble or granite countertop or wooden cutting board will also work nicely. 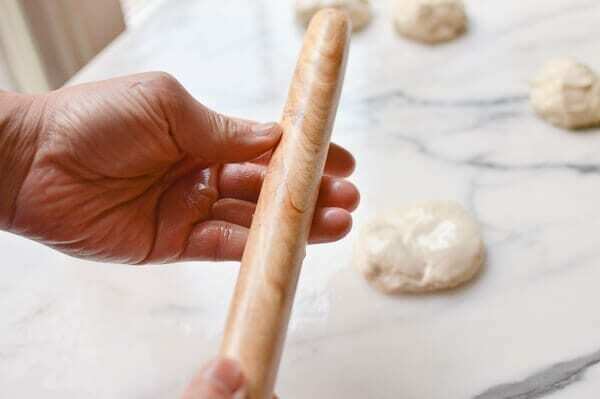 Use a standard non-tapered rolling pin for this recipe, and roll the dough out into a thin layer until it is almost translucent. Heat a large skillet or frying pan over medium-high heat. Add 1 teaspoon of oil, which should thin out and spread out easily on the skillet when it is added. The skillet should not be smoking, however! And place it in the pan, doing your best to lay it down in one even layer. 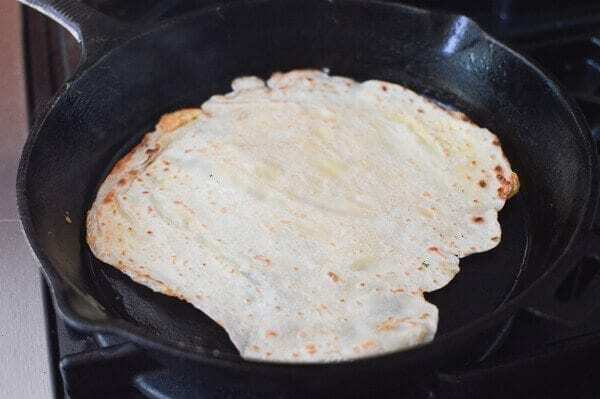 The dough should sizzle in the skillet to indicate that your pan is hot enough. Immediately crack one egg in the center of the dough. Lightly beat the egg with a few strokes using a fork or your spatula, spreading it across the dough. There is no need to meticulously try to cover the entire area of the dough, and don’t worry if the egg overflows either. The dough and egg will become one! Drizzle another teaspoon of oil on top of your Ji Dan Bing. 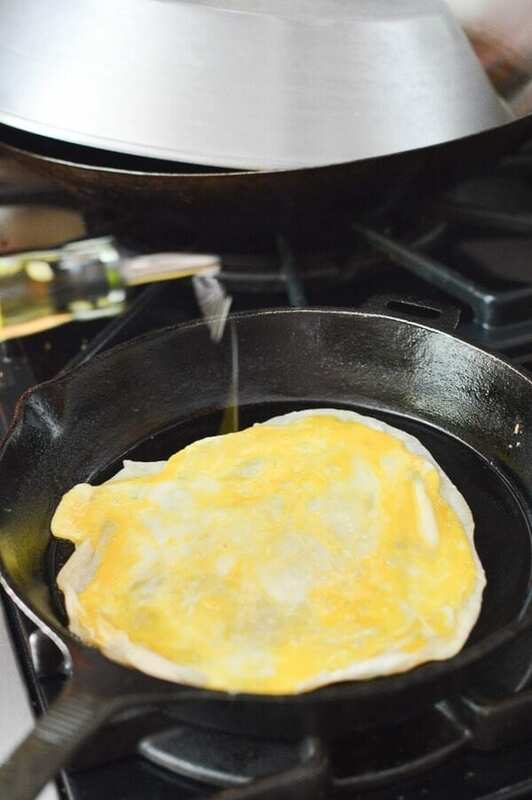 Flip it, and let the egg side cook for about 10 seconds, then flip it again. 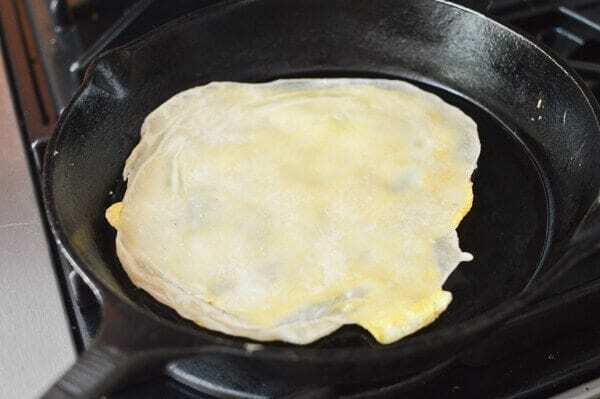 And transfer to a cutting board or plate, egg side up. 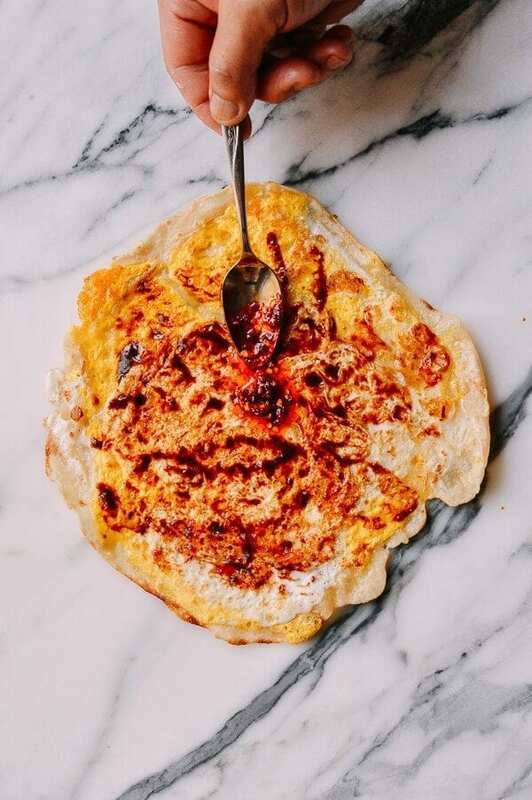 Spread any combination of sweet bean, hot bean sauce, and hot chili oil on the Ji Dan Bing. 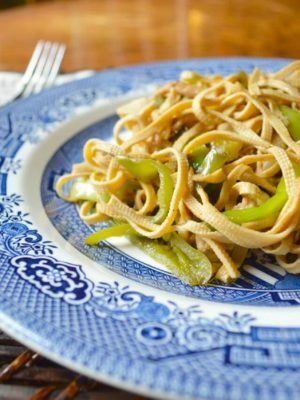 Sprinkle toasted sesame seeds on top, along with scallions and cilantro–if using. 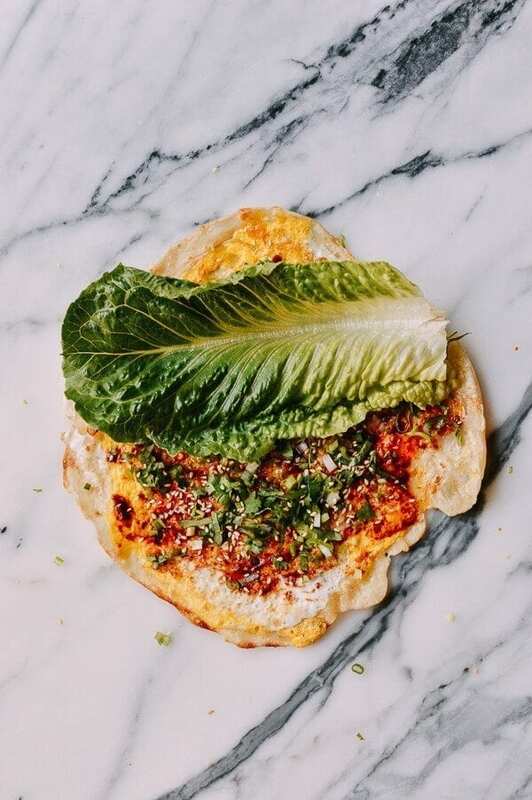 Place a large leaf of romaine lettuce on top, roll up the pancake, and enjoy while it’s piping hot! 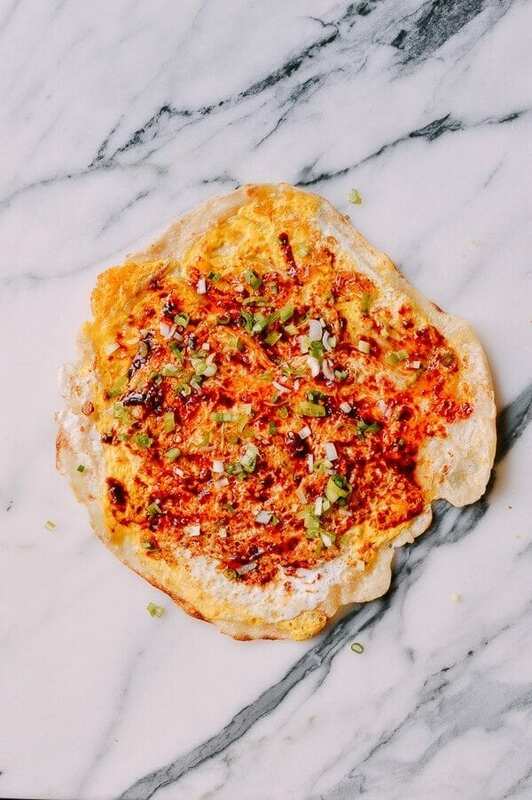 While this is technically a China breakfast treat, enjoy this Ji Dan Bing anytime–I sometimes like to have it for brunch or serve it as an appetizer, instead of standard scallion pancakes. Enjoy this ji dan bing as a Chinese breakfast or anytime during the day! 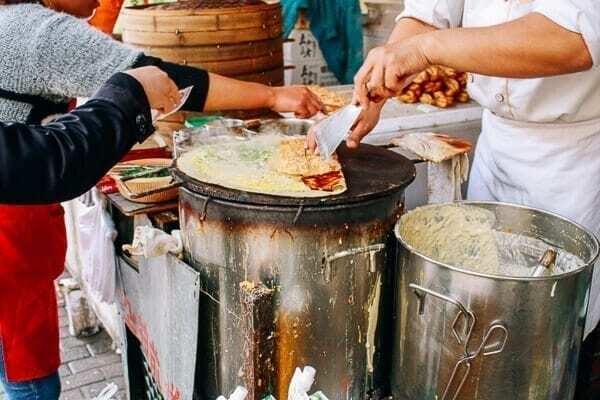 Ji dan Bing is a popular Chinese breakfast street food made with a thinly rolled dough and egg fried together. 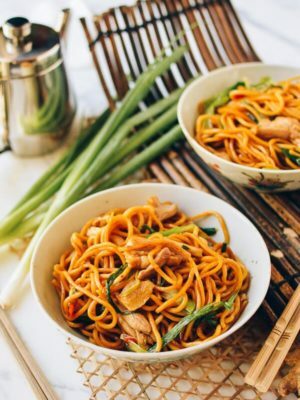 Tasty flavor agents like herbs, sweet bean sauce, chili bean sauce, and chili oil are slathered over the top, and the whole thing is rolled around a piece of crunchy romaine lettuce! 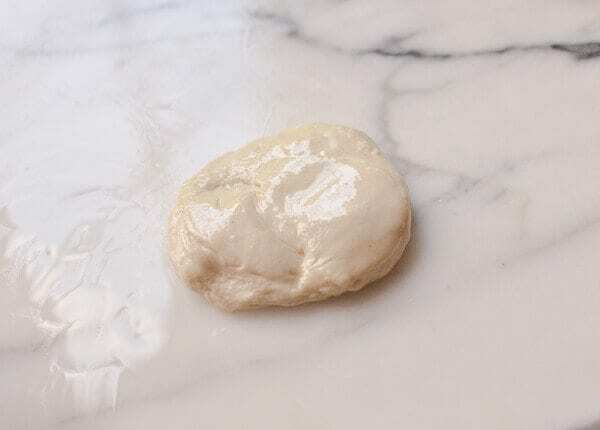 Mix together the flour, salt, and ½ cup of warm water with a rubber spatula until a sticky dough forms--about 2-3 minutes. The dough should be sticky, but should also come together in a ball. Coat the dough with 1 teaspoon of vegetable oil and cover with plastic wrap so it is completely sealed. Allow to rest for 1 hour. After the dough has rested, ready the other ingredients--this will be the filling of the Ji Dan Bing. Next, divide the dough into four equal portions, drizzling additional vegetable oil on the dough and your hands to prevent it from sticking. The dough will be less sticky after resting, but it should still be quite moist. 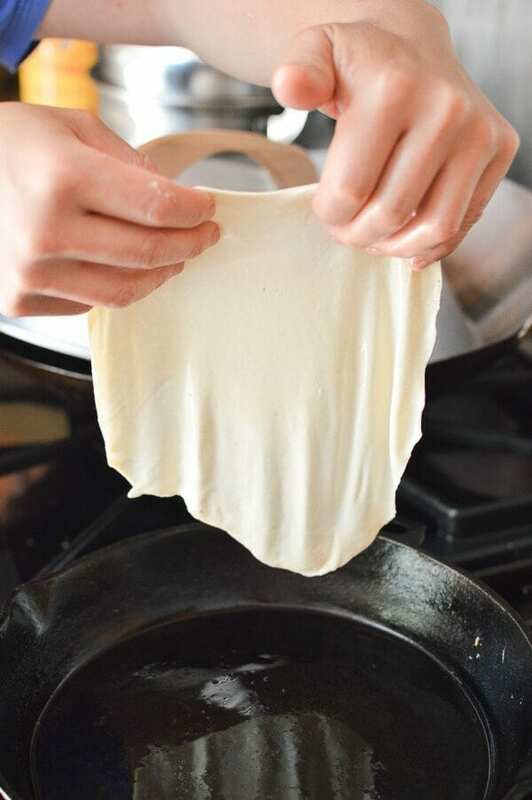 Lift the rolled out dough in one steady motion and place it in the pan, doing your best to lay it down in one even layer. 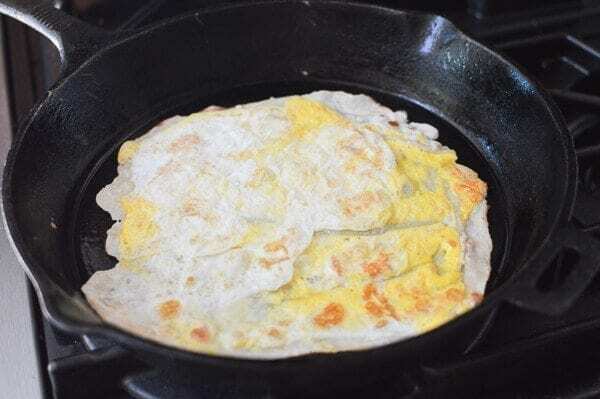 The dough should sizzle in the skillet to indicate that your pan is hot enough. Immediately crack one egg in the center of the dough. 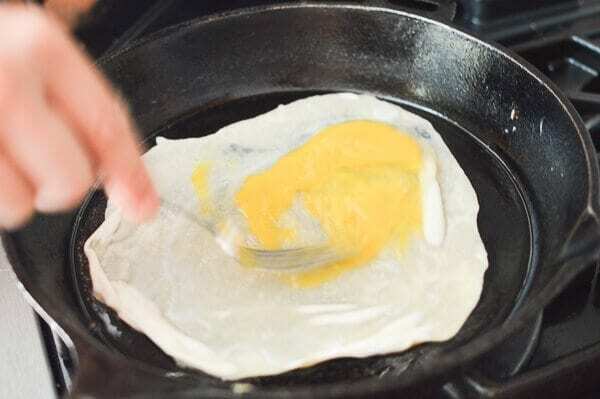 Lightly beat the egg with a few strokes using a fork or your spatula, spreading it across the dough. 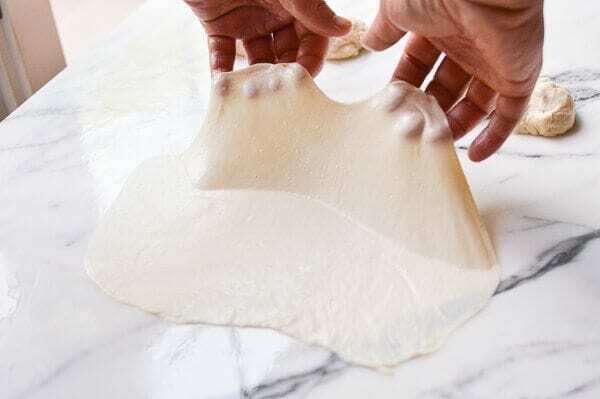 There is no need to meticulously try to cover the entire area of the dough, and don’t worry if the egg overflows either. The dough and egg will become one! Drizzle another teaspoon of oil on top of your Ji Dan Bing. Flip it, and let the egg side cook for about 10 seconds, then flip it again. Let the Ji Dan Bing cook for another minute, or until parts of it are golden brown, and transfer to a cutting board or plate, egg side up. 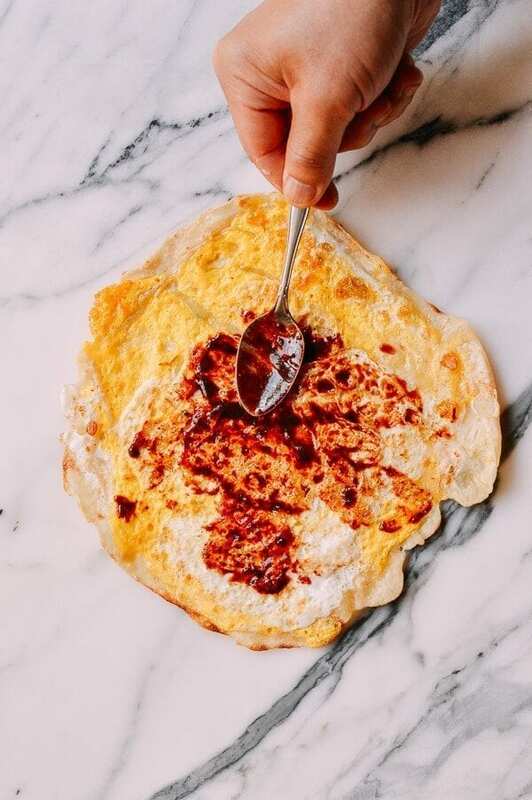 Spread any combination of sweet bean, hot bean sauce, and hot chili oil on the Ji Dan Bing. Sprinkle toasted sesame seeds on top, along with scallions and cilantro--if using. Place a large leaf of romaine lettuce on top, roll up the pancake, and enjoy while it’s piping hot! Can you make this a day in advance and pre-heat and put the toppings on just before serving? Hi Ck, I have never tried making them in advance but it should probably work. Ah, still waiting for your authentic JianBing recipe. Is it coming soon? Hi Roxanne, too many good things to cook :) It’s still on the list so thanks for the reminder and request! Thanks so much for this recipe, it’s now my favourite weekend breakfast! 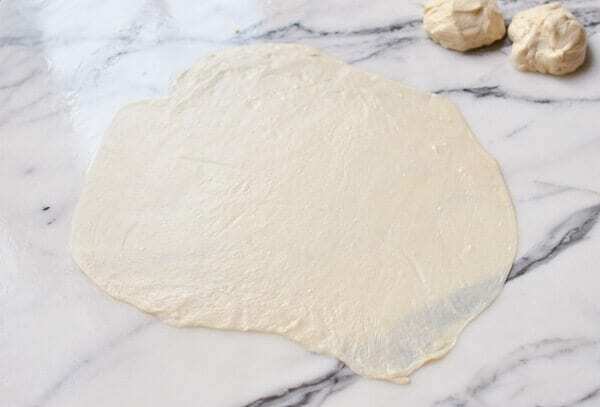 The dough is easy to make and the texture is perfect. I like mixing up the dough the night before then taking it out of the fridge a half hour before using it the next day. I like the dough so much I’m looking for recipes to use it in! I lived in Taiwan for a year going to school. 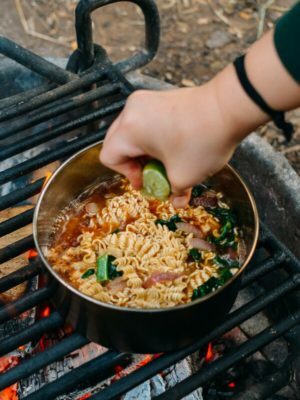 I ate this for breakfast almost every morning on my way to classes. 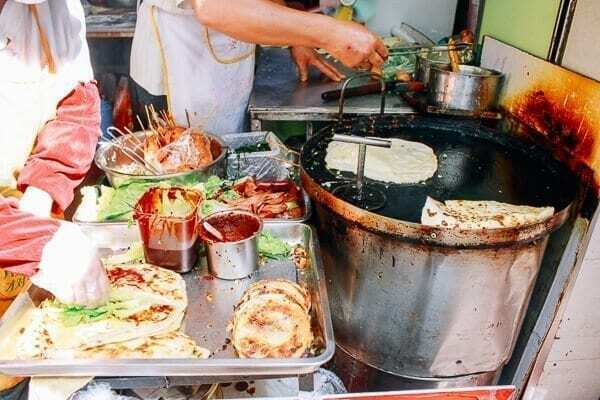 Classic street food! Love it. We definitely share your sentiment, Ken! 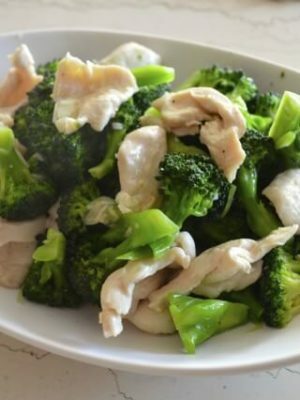 I love this recipe it is so amazing just like all the other recipes on your blog. Thank you for your kind words, Mona! I MUST try this one. :P i Can’t wait! And i bet it would be great to just slap some cheese on there (and maybe some ham or bacon) and Americanize it too. That technique would be a great vehicle for so many flavors! Thanks as always for the endless inspiration! Hi Toni Jean, yes, this is a good one and you’re quite welcome :) I bet some extra fixings would be great too!